Don’t be fooled by the unavoidable comparisons to Animal Collective. 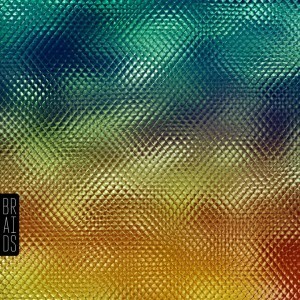 Native Speaker, the debut album from the Montreal quartet known as Braids, is an arresting collection of abstract dreampop that stands perfectly well on its own. While the LP’s unorthodox structure and edgy, buzzsaw melodies may seem reminiscent to Panda Bear’s trailblazing outfit (in particular, those who worship at the throne of Feels), Braids all but avoids that subtle darkness in favor of a lucid, occasionally bloated euphoria. The atmosphere here is thick enough to cut with a knife- this is a band currently uninterested in restraint. And though Native Speaker has all the indulgences and excess of a traditional debut, it also boasts the polished ambition of established artists. With opening track “Lemonade”, Native Speaker arrives without compromise. Discordant sonic textures surround the listener, tribal percussion arrives with a sudden urgency, and finally Raphaelle Standell-Preston’s echoey, entrancing vocals are revealed. For the duration of the album, her commanding voice serves as a vital tether for the band’s experimental intricacies. Whenever Braids runs the risk of pretension (and it stops just short numerous times, most notably on the album-titled track itself), Standell-Preston keeps these brief moments of aloofness reliably grounded. However, despite it’s avant-garde sensibilities, Native Speaker is not without moments of innovative radio pop. If the album were to have a single, “Plath Heart” would undoubtedly be the lead contender. A blissful cloud-hopper of a tune, “Plath Heart” is perhaps the best indicator of what Braids may sound like when and if they decide to embrace a slightly more direct, experimental approach a’la Merriweather Post Pavilion. Also, it is impossible to ignore the manic intensity on “Save Mum”, a track from the album’s back half featuring some particularly spellbinding sonic imagery. For songs like these, Braids are excused for the album's ponderously overindulgent midsection. After all, the only thing that exceeds Native Speaker’s committed grasp is the ambition of the band itself- and that too will hopefully arrive in time.